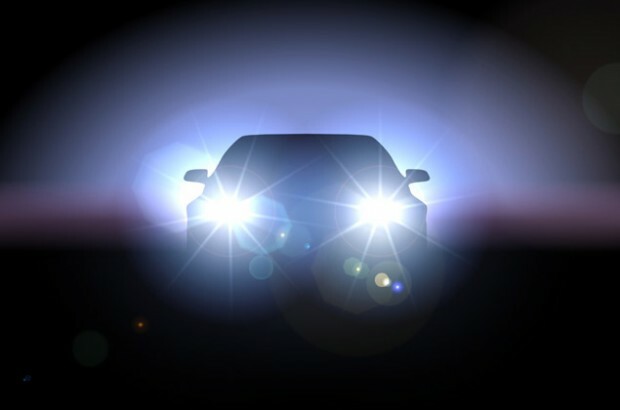 Nearly a third of drivers say it’s difficult to drive at night. That’s a scary statistic for them, and for the other two-thirds with whom they share the road. Here are VroomGirls’s tips on how to drive at night. It was a dark intersection in a woodsy suburban area that I was not familiar with. There was no signage or markings, only the traffic light. Let’s just say that I was blinded by oncoming traffic and ended up going towards it rather than away from it. Thanks to quick reflexes, a screaming daughter, a clutching niece and my hand glued to the horn, I stopped before slamming into oncoming traffic. After executing a rapid 3-point turn, I drove into the nearest parking lot, caught my breath and resumed our journey. Well, it wasn’t so easy for me to knock that scare out of my system. It took two years before I was able to face my demons and drive a vehicle after the sun went down. That near accident made me think something was seriously wrong with me. Before I booked a shrink, I went to my eye doctor for a thorough check-up. It was a smart move. Though my eyesight hadn’t changed since my last visit, he sent me to a medley of doctors to get me checked for migraines. It turns out that the dancing lights I sometimes saw on the peripheries of my sight line were signs of a migraine. (And perhaps the reason for my night blindness that particular evening.) Also, those glasses that I only wear for reading and writing? Well, Dr. Teich advised me to wear them for night driving. So, now when I feel those spots starting to descend, I take two Advil and when I hit the road at night, I wear my glasses. I am not the only person who has problems driving at night. Nearly one out of every three of us have difficulty seeing all or most of the time while driving in the dark, according to a nationwide survey * of 515 vision-corrected Americans aged 18 and over. More than one-fourth report that they have trouble seeing signs or exits; one-fifth acknowledge difficulty seeing animals or pedestrians and more than one in five report problems judging distance while driving in the dark. Why do so many of us struggle to drive in the dark? The answer is not as complex as you might think. “When you are behind the wheel of a car, your eyes are constantly on the move – looking at vehicles ahead and to the side, reading road traffic signs, checking your rear view mirrors and shifting your gaze inside and outside your vehicle in order to check the speedometer, look at your global navigation system or change a radio station,” explains John Ulczycki, Group Vice President, Strategic Initiatives, National Safety Council.